South Pasadena’s Cawston Ostrich Farm (1896-1935) was world famous for several reasons: selling feathers direct to consumers at wholesale prices (mail order and retail), major Southern California tourist attraction, and home of the world’s first successful solar power experiment for commercial use. Cawston also recognized that his farm’s proximity to Hollywood had many cross-promotion opportunities. 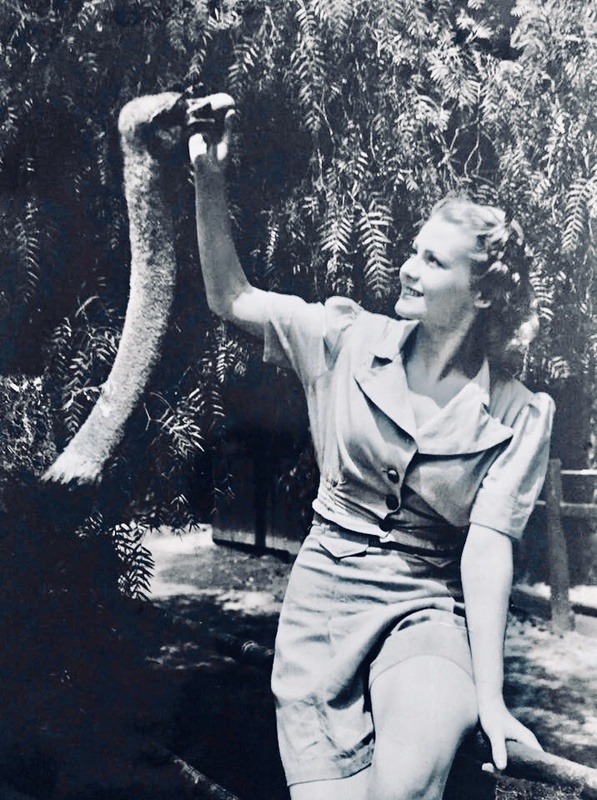 The glamour and glitz of stage and the silver screen made our town’s “feather farm extraordinaire” a natural fit for top actresses and starlets alike. 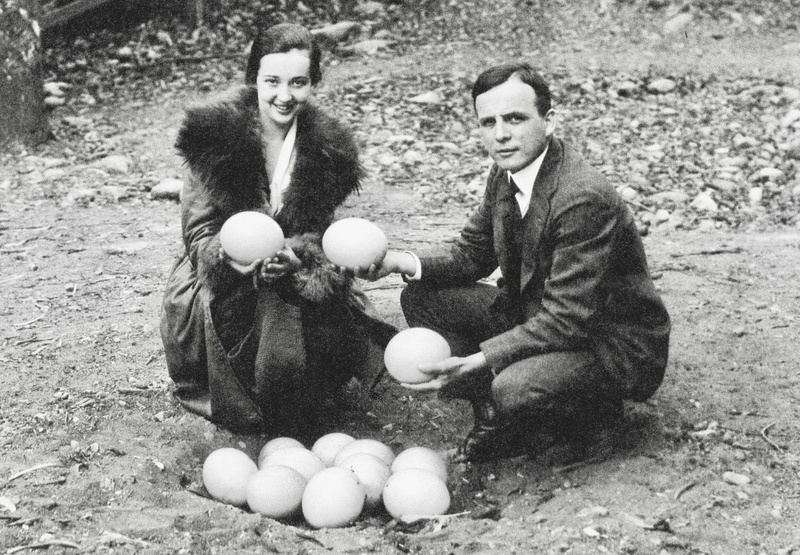 Actress Helen Jerome Eddy and Herbert Vatcher Jr. pose with ostrich eggs at the Cawston Ostrich Farm in South Pasadena. 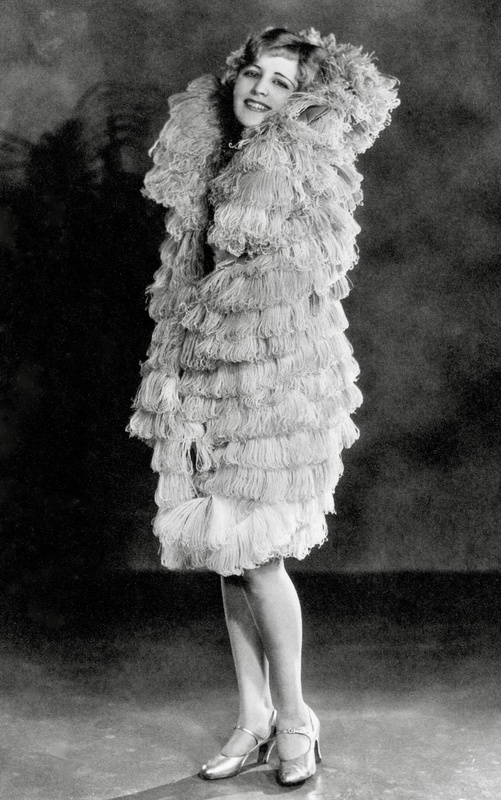 Eddy began her acting career during the silent film era and went on to appear in such films as Strike Up the Band and Mr. Smith Goes to Washington. Vatcher served as the farm’s president and general manager. Belva Leroy was featured in several movies, June Allison’s stand in, and auditioned for Scarlett in Gone with The Wind. She performed on the stage as Boots LeRoy, a western cowgirl who could sing and ride. She also played roles as the exotic Spanish singer Belva DeLaRoy.